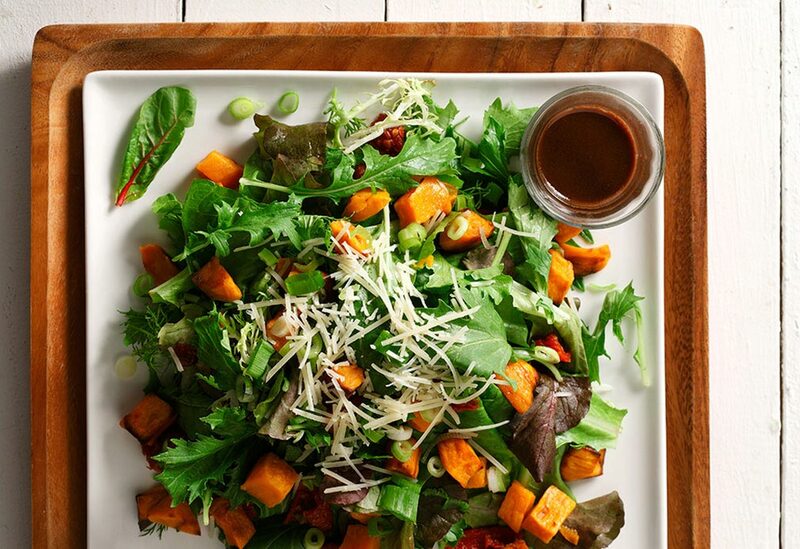 Prepare the roasted yams in advance to make quick work of this gorgeous salad. A perfect accompaniment to any grilled or roasted meat. 1. Preheat oven to 400°F (200°C). Line baking sheet with parchment paper. 2. In large bowl, toss cubed yams with 1 Tbsp (15 mL) canola oil and salt. Arrange on baking pan and bake for 25 minutes. This can be done up to a day in advance. Keep cooked yams refrigerated until assembling the salad. 3. While yams cook, in medium bowl, cover sundried tomatoes with very hot water and allow to stand for 25 minutes. Drain and chop. 4. In large bowl, combine cooked yams, tomatoes, cheese, arugula and green onion. 5. Prepare dressing by combining the remaining 2 Tbsp (30 mL) canola oil with the balsamic vinegar and Dijon mustard. 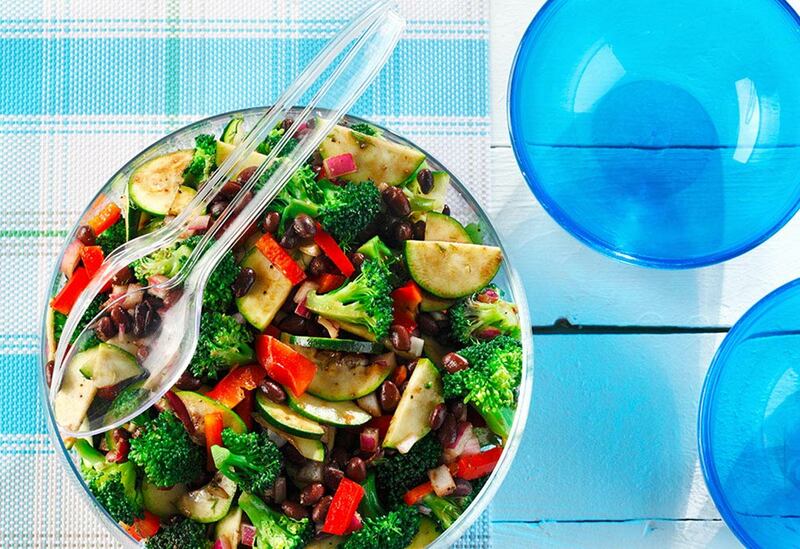 Drizzle over salad and toss to combine. Prepare in advance for the ultimate flavor. It only gets better with time! 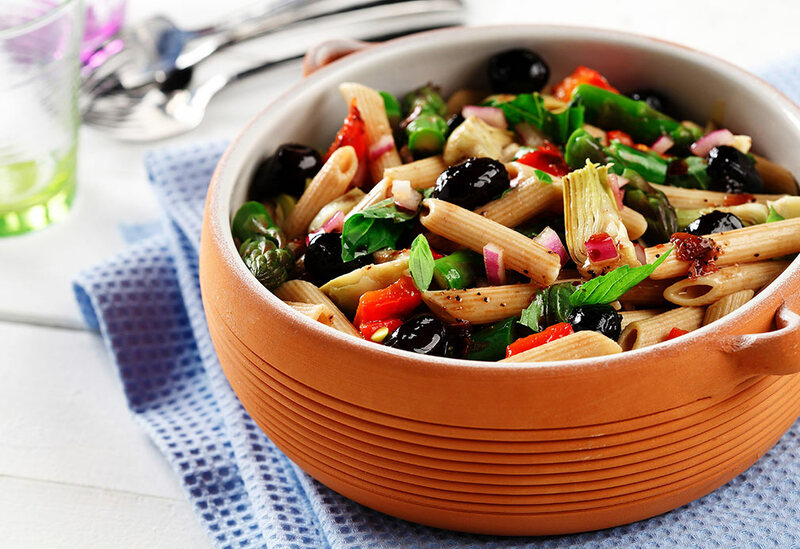 Every pantry should have a few cans of black beans on hand to use in quick salads like this one! Canola oil keeps this dish low in saturated fat.